The Town of Mammoth Lakes appears to be heading into the shoulder season a lot sooner than in previous years. It feels very quiet in town, along with reduced activity in the real estate market (overall). Eagle Express (chair 15) has closed for the season due to lack of snow and warm temperatures. Canyon Express (chair 16) is still running for the time being. The Mammoth “Cali4nia” passes are now on sale for the 2015/2016 ski season for $689.00, which includes a $100 resort credit. The pass is good for Mammoth Mountain, June Mountain, Bear Mountain and Snow Summit ski areas. Coming out of one of the worst drought years on record for Mammoth, I’m going to be optimistic in saying that it can’t get much worse than this. I am hopeful that next ski season will bring normal snowfall to the Sierra Nevada range, which will help chip away at the severe drought conditions. NASA reported last week that California has 1 year left of water (at the current levels). We need the snow to fall in copious amounts not only for recreation, but most important, drinking water and farming. As of today, March 24, 2015, there are a total of 162 condos, 55 homes and 49 lots on the market. During the past week, there were a total of 10 new escrows and pending sales combined and a total of 8 closed sales. Properties in the Spotlight: Below are my top 5 recommendations of the week for Mammoth Lakes real estate listings. 100 Pine Street, The Bluffs homes for sale: This rustic and luxurious 3-level log home with 4 bedrooms, 4 baths, attached 2-car garage, 4,600 SF and 14,810 SF lot, built in 2005, is listed for $2,625,000/$570.65 PSF, which is below replacement cost (construction, hardscape and landscaping). The corner lot features incredible views of the Mammoth Mountain ski area from the west-facing windows. Quality of construction and craftsmanship is apparent throughout: rock work, granite, cabinetry, finish work, large media/game room with full kitchen capabilities, fully-fenced backyard (great for families with dogs), Hydronic heating, hand-hewn wood flooring, and so much more. This home is very reasonably priced considering the premiere neighborhood and overall quality of the property. 36 Grindelwald, The Mammoth Knolls homes for sale: This home is located in the Mammoth Knolls neighborhood, just a short walk to the Village at Mammoth. This clean and well-kept home has been partially remodeled and has 3 bedrooms and a loft, 2 baths, attached 2-car garage, 2500 SF of living space, 7,405-SF lot and was built in 1998. Many custom features can be found throughout: custom hardwood doors and cabinets, gourmet kitchen with granite counters & stainless steel appliances, large picture windows to capture the views of the forest and mountains, large south-facing deck, oversized garage, landscaped and irrigated yard, metal roof, forced-air heating system, extra insulation and only a ¼-mile to the Village and gondola to Canyon Lodge. Priced at only $305.80 PSF, this home is worth looking at. 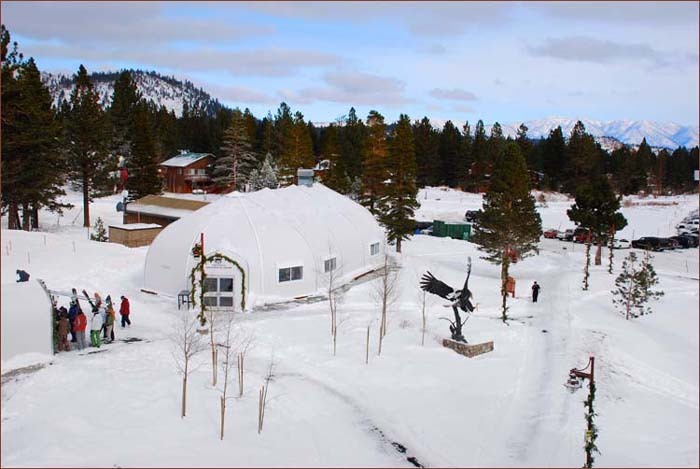 The Cabins at Crooked Pines condos for sale: Located on the 4th hole of the Sierra Star golf course, the Cabins at Crooked Pines #12 is listed for $597,000 and features 3 bedrooms, 2 baths with underground parking, ski lockers and bike storage. The grounds provide for a common area barbecue and spa. This is a very quiet area, which is also just a short walk to the Eagle Express chair lift. This condo has been on the market for 40 days and is being sold partially furnished. The common area monthly dues are $1,010 and include unlimited propane gas, which is the main source of heating and include all of the other standard inclusions for HOA dues except for electric, cable and phone. Compared with recent closed sales at the Solstice condos complex, the price might be a bit high. Comparable sales are at $565K and $575K fully-furnished for the same floor plans and square footage. At the right price, this is a great unit in an upscale condo complex on the golf course. 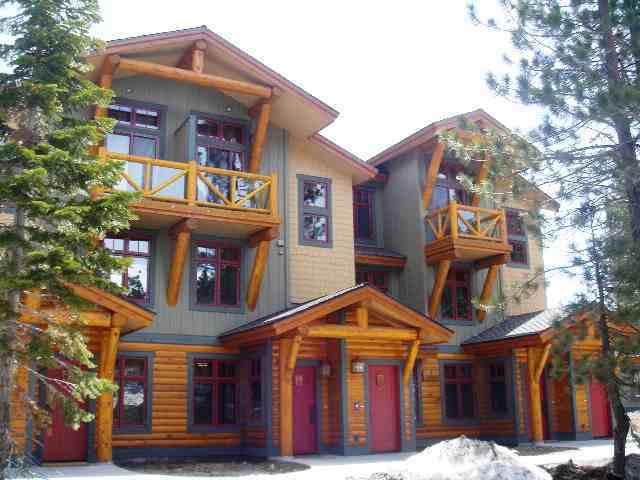 Snowcreek condos for sale: This Snowcreek V unit #1003 is a bright and sunny corner townhome listed for $599,000. It has 3 bedrooms, 3 baths, attached 1-car garage, 1457 SF and was built in 2001. This is a great floor plan for families with 2 master suites and multiple decks. Some of the other features include: Granite counters, forced-air heating, great views of the mountains and being sold furnished. Given recent closed comparable sales, this condo seems to be priced right. Currently, active market time is 72 days on the MLS. The Westin Monache condos for sale: Westin # 723, 1-bedroom, 1-bath top-floor condo listed for $379,000. Amazing views from this top-floor condo at the Westin Monache resort and a slightly larger floor plan with 616 SF vs. typical 560 SF for most of the 1-bedroom units. Located right next to the Village at Mammoth & Village gondola, enjoy all of the luxurious amenities of this condo-hotel: 24-hour front desk, concierge, valet, year-round heated swimming pool, multiple spas, fitness center, ski lockers, underground parking, and on-site White Bark Restaurant. Great rental income producing unit: 2014: $53,132, 2013: $45,506, 2012: $43,827, 2011: $54,164. This condo is being sold fully-furnished and turn-key. As always, feel free to contact me directly with any questions regarding Mammoth Lakes real estate listings.